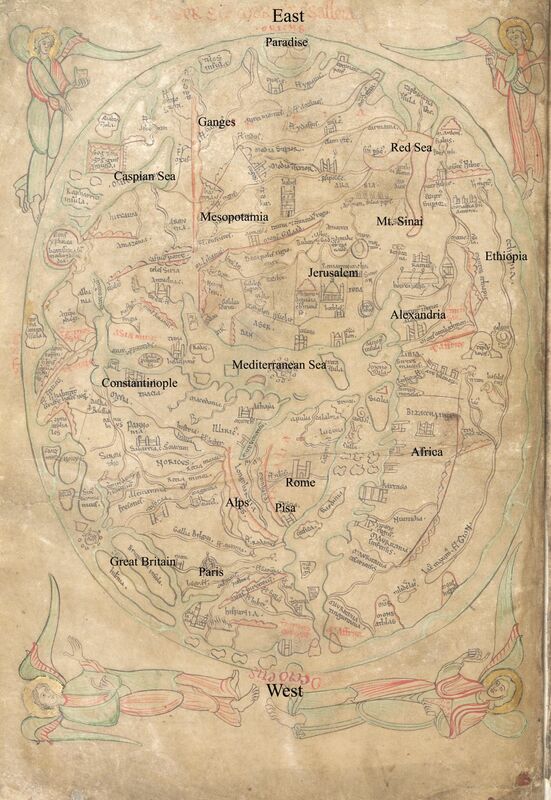 His Imago Mundi contained a world map, which has become known as The Sawley Map(b). 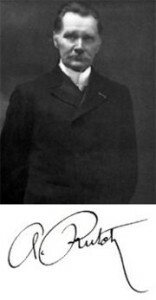 Aimé-Louis Rutot (1847-1933) was a Belgian archaeologist who wrote extensively on prehistoric civilisation. In 1920 he identified Agadir on the Atlantic coast of Morocco as the location of the capital city of Atlantis. He suggested that Lake Tritonis was a large inland sea where the chotts are today. He also proposed a further large ‘Inner Lake’ existed across Hauts Plateau in the Atlas Mountains of Algeria. Rutot further identified the island of Hesperides as a large section of what is now mainland Africa, opposite the Canaries, and formerly the site of the ancient city of Lixus. The Hesperides in Greek mythology were the daughters of Atlas. They lived on an island in the far west guarding a tree that bore golden apples made famous in the story of the twelve labours of Hercules who was charged with obtaining some of the apples. The Hesperides have also been referred to as the Fortunate Islands and is the name applied by classical writers to islands off the west coast of Africa that have been variously identified with the Azores, Canaries or Cape Verde islands. Other opinions place the garden at Gades or on the Atlantic coast of Morocco. While the majority of opinion is that the name specifically refers to the Canaries, a minority view espoused by Andrew Collins(a) is that Hesperides refers to the Caribbean, where he is convinced that Cuba had been the home of Atlantis. Marcos Martinez Hernandez was born in the Canary Islands in 1945. He studied there at Laguna University and later at Madrid University where received a doctorate in Classical Philology. His academic career eventually brought him back to Laguna University where he held the Chair of Greek Philology from 1987 until 1999. He has written a range of articles and books including one on the connections between The Canaries and Greek Mythology including Plato’s Atlantis, Isles of the Blest and the Hesperides. 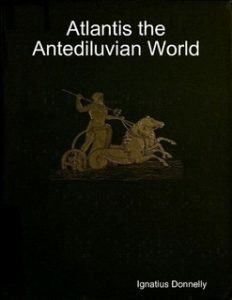 Atlantis: The Antediluvian World  by Ignatius Donnelly was first published by Harper & Bros. of New York in 1882 and is still in print today and continues to fire the imagination of many. Although it contains many assumptions, assertions and errors, it was a daring venture for its time, pulling together data from many disciplines to produce a coherent argument in favour of the reality of Atlantis. (1) That there once existed in the Atlantic Ocean, opposite the mouth of the Mediterranean Sea, a large island, which was the remnant of an Atlantic continent, and known to the ancient world as Atlantis. 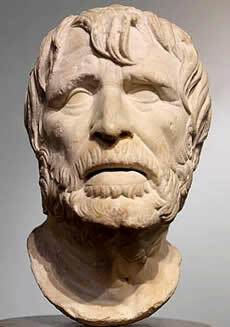 (2) That the description given by Plato is not, as has been long supposed, fable, but veritable history. 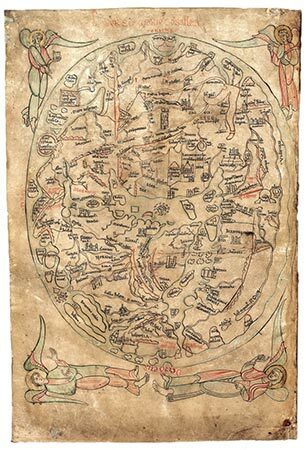 (3) That Atlantis was the region where man first rose from a state of barbarism to civilisation. (4) That it became, in the course of ages, a populous and mighty nation, from whose overflowings the shores of the Gulf of Mexico, the Mississippi River, the Amazon, the Pacific coast of South America, the Mediterranean, the west coast of Europe and Africa, the Baltic, the Black Sea and the Caspian were populated by civilised nations. (5) That it was the true Antediluvian world; the Garden of Eden; the Garden of Hesperides – where the Atlantides lived on the River Ocean in the West; the Elysian Fields situated by Homer to the west of the Earth; the Gardens of Alcinous – grandson of Poseidon and son of Nausithous, king of the Phaeacians of the island of Scheria; the Mesomphalous – or Navel of the Earth, a name given to the Temple at Delphi, which was situated in the crater of an extinct volcano; the Mount Olympus – of the Greeks; the Asgard – of the Eddas; the focus of the traditions of the ancient nations; representing a universal memory of a great land, where early mankind dwelt for ages in peace and happiness. (6) That the gods and goddesses of the ancient Greeks, the Phoenicians, the Hindus, and the Scandinavians were simply the kings, queens, and heroes of Atlantis; and the acts attributed to them in mythology, a confused recollection of real historical events. (7) That the mythologies of Egypt and Peru represented the original religion of Atlantis, which was sun-worship. (8) That the oldest colony founded by the Atlanteans was probably in Egypt, whose civilisation was a reproduction of that of the Atlantic island. (9) That the implements of the ‘Bronze Age’ of Europe were derived from Atlantis. The Atlanteans were also the first manufacturers of iron. (10) That the Phoenician alphabet, parent of all European alphabets, was derived from an Atlantis alphabet, which was also conveyed from Atlantis to the Maya of Central America. (11) That Atlantis was the original seat of Aryan or Indo-European family of nations, as well as of Semitic peoples, and possibly also of Turanian races (of central Asia). (12) That Atlantis perished in a terrible convulsion of nature, in which the whole island was submerged by the ocean, with nearly all of its inhabitants. (13) That a few persons escaped in ships and on rafts, and carried to the nations east and west tidings of the appalling catastrophe, which has survived to our own time in Flood and Deluge legends in the different nations of the Old and New Worlds. Although some of these propositions now appear rather dated and are in some instances factually incorrect, we must keep in mind that they were written over a century ago. 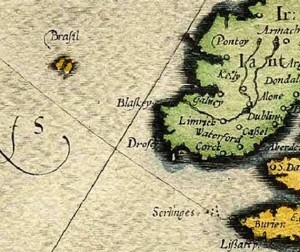 It is quite possible that without the impetus created by Donnelly’s book, Atlantis would have remained a relatively obscure subject. The original text of Atlantis and that of Donnelly’s sequel, Ragnarok, are now available on a number of sites on the Internet(a). In my view, although I say it with hindsight, all of Donnelly’s propositions are flawed and unsupported by any realistic interpretation of what Plato wrote. If speculation was a taxable commodity in 1882, Donnelly would have been bankrupted. 2014 saw the first translation of Donnelly’s Atlantis into Sinhalese by the Sri Lankan translator G.R.A. Perera(b).